Was Socialism Really a ‘Working Class’ Movement? Socialism was one of the key emergent ideologies of the 19th century. Orthodoxy assumes that the socialist movements of the day were run by and for the working classes; the reality was much more complex. The 19th century was a period of unparalleled change on the continent of Europe. The drastic economic restructuring that resulted from the industrial revolution led to a transformation of Europe’s political landscape. Liberalism, nationalism and socialism all emerged as competing ideologies, and though it is often assumed without much thought that the socialist movements of the 19th century represented the interests of the emerging working classes, the true nature of such movements was much more nuanced. I argue that, though, in its pure ideological form, socialism was clearly geared towards proletarian grievances, the degree to which the working classes actually exerted influence over the movements which claimed to represent them varied greatly across the continent. Before all that though, what exactly does it mean to be working-class or proletarian (terms I use interchangeably)? The tendency to view the working classes as homogenous and monolithic is tempting, but, as Geary argues, such generalisations overlook internal conflicts ‘between skilled and unskilled, male and female’ which could often be as bitter as those ‘between workers and their employers’. Despite such intricacies, we will use the broad the definition of a proletarian as anyone whose income is derived entirely through the sale of their labour, and not from returns on capital (the inverse definition being that for Bourgeoisie). It is this precarious socioeconomic position that creates the grievances that socialism claims to address. Before deciding whether or not the socialist movements of the day can truly be described as working-class, we must first identify the broad nature of these grievances. Working-class economic grievances are perhaps best illustrated by an example; take the English Luddite Revolts of 1811-1816. Wearmouth recounts how ‘improved machinery had been introduced with the consequence that the wages of the workers were reduced’. The constant fear of being replaced by a machine, and desire for higher wages, led to ‘a campaign of organised violence’ where industrial machinery, and those who owned it, were targeted. Herein lie two key economic grievances symptomatic of working-class life; fear of unemployment, and dissatisfaction with low wages and poor living standards. On the political side of things, a desire for civic freedoms and improved representation are the two most common recurring themes. Take, for instance, the aims of the Working Men’s Association, a grassroots precursor to the British Chartist movement. The organisation declared that ‘universal suffrage, workers’ rights, annual Parliaments, equal representation and no property qualification’ were all necessary for ‘the establishment of peace and happiness in the country’. Here we can clearly see the aforementioned economic grievances alongside demands for direct democracy and self-determination, indicating that, if socialism is to truly be considered working-class, it must address these political grievances as well. Before digging into the individual case studies and movements, we should determine whether, in its purely ideological form, socialism’s core tenets address the grievances we’ve identified. If academic socialism doesn’t address these issues on paper, organisations that call themselves socialist cannot possibly be defined as working-class. 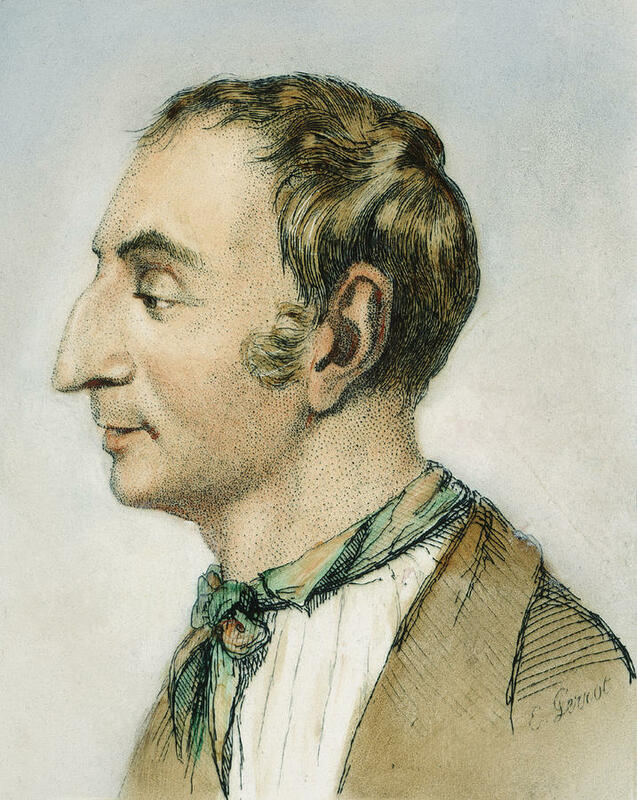 Robert Owen, arguably the founder of British socialism, wrote in 1815 that capitalism ‘will produce the most lamentable and permanent evils, unless countered by legislative interference and direction’, clearly identifying the proletarian disaffection with living and working conditions and offering state interventionism as a solution. Regardless of whether you agree with his solution, the fact that he’s directly addressing one of the economic grievances we identified (poor living conditions) is evidence that socialist thinkers, despite often not being proletarians themselves (Owen was a cotton industry pioneer, no less!) were pioneering a working-class movement. On the political side of things, Henri de Saint-Simon’s writings provide ample evidence that he and his fellow socialist thinkers were in touch with these grievances too. The Utopian school, to which Saint-Simon and Owen belong to, advocated feminine emancipation, sexual liberation, the abolition of war and the end of social oppression & racial intolerance – they were light-years ahead of their contemporaries. Making politics more representative was another issue many socialist thinkers tackled head-on. Lenin recommended a system of grassroots workers’ councils called Soviets, whilst Fabian organisations like the British Labour Party advocated universal suffrage within the parliamentary framework. The point is, though socialist thinkers often had radically different solutions, they were all, in essence, addressing the working-class grievances we identified, and it is for this reason that socialism was, from a purely ideological perspective, undoubtedly a working-class movement. Though it is apparent that purely dogmatic socialism was aligned with proletarian objectives, it does not necessarily follow that the political movements and organisations it spawned were controlled by, or even represented, the European working classes. Let’s take a look at a selection of socialist organisations from across the continent and to what extent their actions and policies were influenced by the proletariat. Herein lies a crucial pattern; many of the leading trade unionists were indeed proletarians in that they were unpropertied wage labourers, but they tended to be the more skilled proletarians, workers Lichtheim describes as ‘aristocracy of labour’. Here we see the importance of not assuming heterogeneity within the working class. On a basic level, however, these representatives were still proletarians in that they meet our aforementioned criteria, and it is perhaps unsurprising that proletarians would elevate the most skilled and articulate amongst their ranks to represent them at the highest levels. It is clear, then, that at both the grassroots level and at the most centralised bodies of the trade union movement, despite some stratification amongst workers, it was indeed the working classes who were in control of the British Trade Union movement. Clearly, the party’s agenda addresses both the economic and political grievances that we identified at the start of this article. The reason for this is simple; Labour needed working-class votes. The leaders of these parties tended to be the same ‘aristocracy of labour’ that we found in the TUC, but this matters not. Even if the Labour party was headed by landed aristocrats, these leaders would have still been obliged to address their base’s grievances, or else they would be out of a job! We must therefore conclude that, regardless of their leadership, European social democratic parties were, at least indirectly, controlled by the workers they claimed to represent. 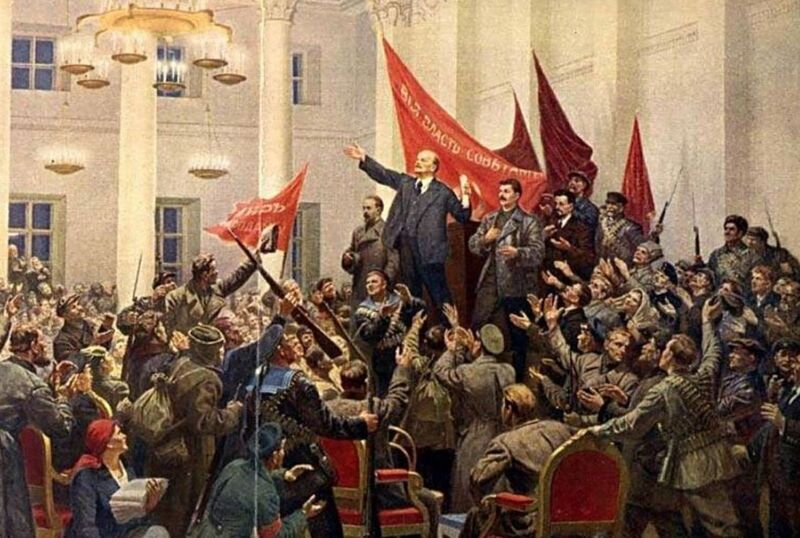 Russia saw socialist-inspired revolutions in both 1905 and 1917, and examining these case studies highlights how, even in the same country, different strains of socialism exhibited very different characteristics. First, let me set the scene. St. Petersburg at the turn of the century was a worker’s nightmare. 14 hour work days, the average apartment houses 12, regulations and workers’ rights were non-existent, rapid hiring and firing was the norm. Clearly, the standard proletarian grievances were present in Russia’s urban centres in abundance. The revolution of 1905 was triggered by the massacre of hundreds of striking workers at the Putilov Plant in the Vyborg district of St. Petersburg in what became known as Bloody Sunday. In the following days, approximately 150,000 workers from 382 factories voted for strikes in reaction. Electricity was cut off, trains were cancelled and the city ground to a halt. The decentralised reaction to Bloody Sunday suggests that 1905 was the result of working-class initiative, and though professional revolutionaries like Lenin, who spoke in his pamphlets of ‘rivers of blood’ and the ‘coming civil war’, attempted to hijack the protests, most historians assert that centralised forces like the Bolshevik party were relatively unimportant. The revolution of February 1917 was similar; female textile-workers and housewives protesting against bread shortages triggered the spontaneous, union-driven unrest that culminated in the ignominious end of the 300 year old Romanov dynasty. The October Revolution of that same year was, however, a different matter entirely. On the night of October 24th, the Red Guard seized key positions in St Petersburg in a swift, top-down military operation, and the Bolshevik party took power in Russia. Figes argues that Lenin used socialist slogans as ‘a banner of popular legitimisation covering the nakedness of his ambition’, whilst Pipes simply describes the October Revolution as ‘a classic coup d’etat’ by a small cabal of professional revolutionaries. Given the lack of mass proletarian participation — the seizure of power was a swift military operation orchestrated by Trotsky and the Military Revolutionary Council — and the nature of the Bolshevik leadership — Trotsky was the son of wealthy farmers — it is clear that the October Revolution (and indeed Bolshevism in general), in contrast to 1905, is an example of a supposedly socialist movement which cannot be described as working-class. Ideologically, socialism was a working-class concept in that it prioritised the grievances of the rapidly expanding European proletariat, though the degree to which the socialist organisations and movements it spawned were under the control of the working classes varied greatly. On one extreme lie the 1905 and February revolutions, which erupted spontaneously and consisted purely of large-scale protest and industrial action, phenomena entirely reliant on mass proletarian participation. Trade Unionism in Britain was also relatively working-class, though it was often more skilled workers who represented their fellow proletarians, highlighting the importance of taking into account the heterogeneity of the working classes when analysing such movements. Social democratic parties like the SDP and the Labour Party may have been led by a combination of working and middle-class representatives, but, due to the nature of mass democracy, these parties were obliged to represent the desires of the average worker. On the other extreme of the spectrum lies the October Revolution, an entirely top-down affair which, despite claiming to represent the working-classes, took place with minimal working-class participation. The political reality of socialist movements could often be far detached from the ideology’s dogmatic ideals, and it is therefore impossible to determine whether socialism as a whole was a working class movement, because this assumes homogeneity when, in reality, different socialist organisations represented workers to differing degrees. That is an amazingly detailed and well-researched analysis. Thank you! This is an incredibly detailed + nuanced analysis that I’m definitely going to come back to . Thx! This sounds familiar – I know it is just anecdotal, but I’ve often found the most ardent socialists (literary, historical and contemporary) are not very traditionally ‘working-class’ at all, no matter how much they sympathise with working-class issues. It does raise the question of how well they can represent the working-class if they do not fully understand said issues outside an ‘academic’ perspective…. The working class in a socialist society thinks he’ll get more than what he has, and the elite KNOW they steal more.